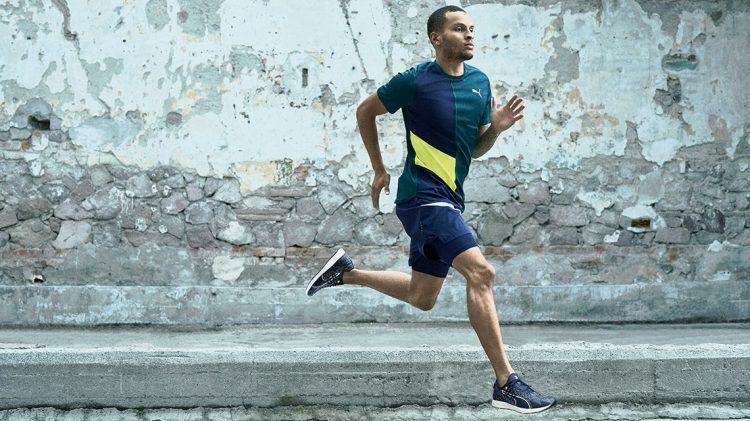 Two years ago, PUMA sprinter Andre De Grasse was almost beating Usain Bolt at the Olympic Games in Rio. Ahead of the athletics championships in London 2017, all eyes were on him. But there, Andre was missing in the starting blocks, because he was injured. Last week, on his way back from visiting his doctor in Munich, Andre dropped by the PUMA headquarters. Here’s what he said about the toughest part of his career so far, about having nerves and about running in PUMA. What happened last year in London? I got hurt. 10 days before the world championships in London started, I injured my hamstring and could not take part. It was heartbreaking for me. I’m fine now and finally ready to start back into training. I’m hungry, you know it’s been a while since I’ve been on the track and I’m ready to get back up there and proof myself. How does your training routine usually look like? I train six days a week, Monday to Saturday and I train about four hours a day. How do you stick to your training regimen while you are traveling? I always try to go on night flights, try to get to my destination in the morning and then stay up all day. Because when I sleep it’s going to mess up my sleeping pattern and for me it’s important to get a good night rest, 8 to 10 hours per night. And of course, I eat healthy. Usually, I try to eat a lot of proteins and carbs. That’s kind of l the whole routine and regimen. What is changing for you now that Usain Bolt retired from track and field? 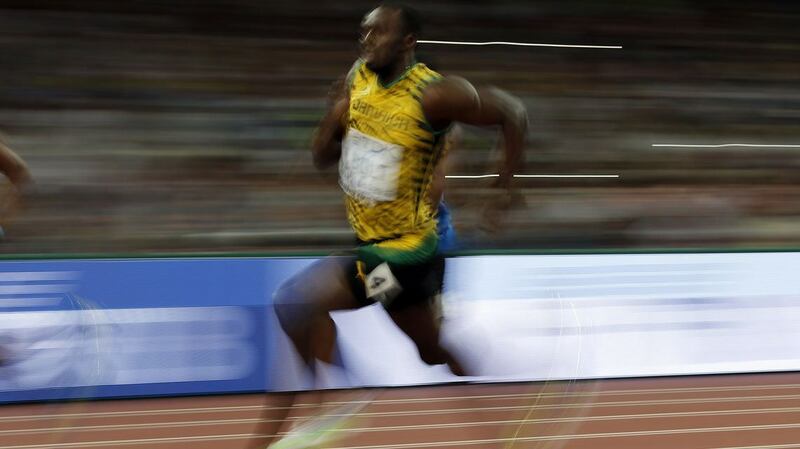 Usain is a great athlete – prospects to him! Hopefully, now that he retired I can step into that line and become the next world champion. In the 200 meters semi-final at the Olympic Games in Rio you were running next to Usain and there is a picture where you are smiling at each other – what was this about? A lot of people probably don’t know that story: Usain is about 10 years older than me and I was young at that time. The semi-final was my sixth race in five days. So, my coach said let’s tire out Usain in the semi-finals and try to get him in the finals. He was a bit annoyed about that at first because he got tired. But then he started joking and telling me ‘You’re gonna be tired tomorrow, too’. So, for me it was just trying to go out there to see if I can beat him. I was close, but not close enough. How do you start into a race, do you always have such a strategy? When I’m on the track I want to give my best, of course and I want to be able to win. When I step on the track I know I’m ready, I made it here so now I’m focused. The Olympic Games were great, because even though I didn’t win I know I gave my best. I ran my personal best over 100 meters and broke the Canadian record over 200 meters. I listen to a lot of music. That calms me down and gets me ready to focus on the race. I talk to my coach a lot and to my family to get motivation. How do the last minutes before a race look like for you? Right before a race, we wait about 40 minutes in the call room until they walk us out on the track. At first, sitting in the call room for so long next to all the other athletes was a little intimidating for me, but I got used to it. Are you still nervous right before a race? Of course I get nervous sometimes, but that’s okay. I get the most nervous when it’s the first round. I know I just have to get through the heats and make it to the semi-finals. And once I’m in the finals anybody can win, and everybody is equally nervous. You can see it in their eyes. But when the crowd cheers your name and pumps you up, that’s when the adrenaline kicks in and all the nerves go away. Then I’m ready to give everything. What has been the toughest part of your career so far? I think being injured in London 10 days before the Championships, because I was so close to winning the gold medal. I saw the times afterwards, anybody could have won the race. I won five diamond leagues before the Championships, so I knew I was ready to run fast. Having my dreams crashed there hurt a lot. But it also made me hungrier and more motivated. It’s a burden experience knowing I need to run like before the injury, but that’s going to help me get to the next level. If you weren’t running what would you be doing with your life? I like a lot of things and I’m passionate about a lot of things. In my free time I like to model. And I just started a charity foundation where I’m giving back to the youth through sport and education. In general, I like to do a lot of things in my community. But I would maybe do another sport, like basketball or soccer. What advice would you give a kid that really wants to become an athlete like you are? I would tell him or her to be passionate about what you want to accomplish. Take one stop at a time and don’t push too fast. You have to take the little steps on your way up as well. Believe in yourself and don’t ever be down on yourself, always have the confidence to say you’ll get over the hump. What are the most crucial points that create loyalty to a sponsor like PUMA for you? The most important thing to me are the spikes. 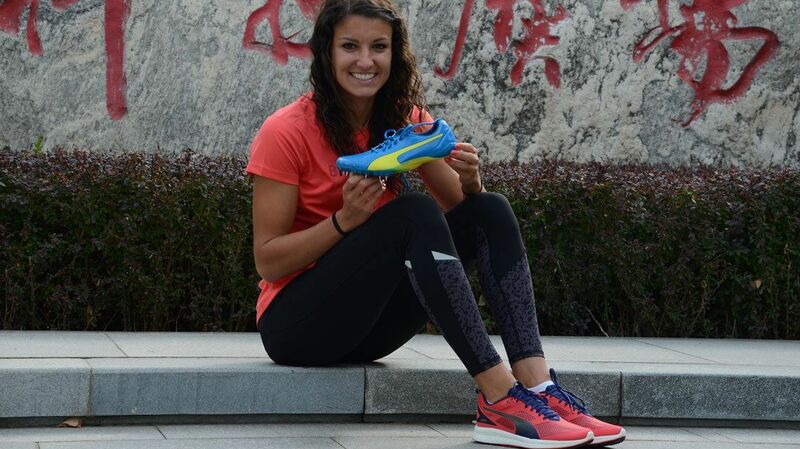 When I signed with PUMA back in 2016 right before the Olympic Games, they had my own customized spikes for my foot. I was having a lot of issues in the past with my toe and PUMA was able to adjust the spikes very quickly. So, for me it’s product first when it comes to brand loyalty, because that’s how I run fast, with the shoes. How is running in PUMA? Every year, PUMA is updating the shoes and it keeps getting better and better every time. Before I signed PUMA I didn’t know those things, but then I started to talk to the people who make the shoes. So now I know that PUMA has a new material called profoam, which I think is pretty awesome. It is going to get me run faster. Regarding what is up next for you, you are changing your coach, right? Yes, I am changing coaches. Last year did not go so very well for me, so I thought I need a change. I haven’t started training with him yet, due to my injury. But listening to him and his philosophy is just a different approach. My old coach was a great guy, I won three Olympic medals with him, but some things just didn’t work. I want to work on my endurance. I love the 100, but I feel like I’m a 200 meter specialist as well and I want to continue to run faster in both of my lanes. What will be possible on the 100 meters for you now that you are back on the track? I don’t like to set limits on myself. At the Olympic Games I ran personal best, 9.91 and then I ran wind-assisted 9.69. I know I can do that, so for me it’s just about running faster and faster and eventually maybe break the world record.